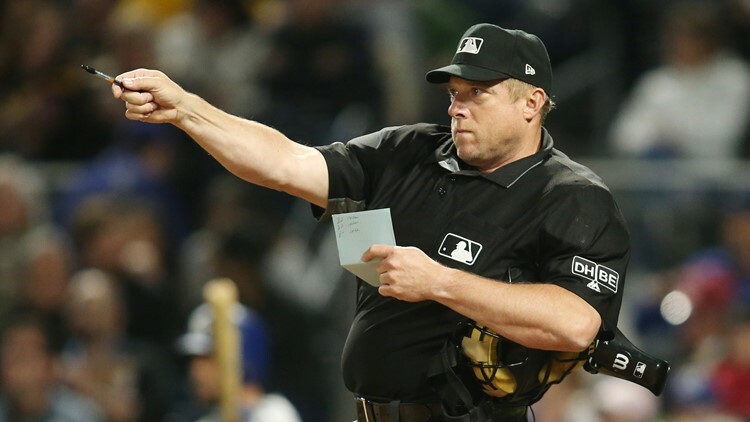 An umpire in Wednesday's Yankees-White Sox game had to take a timeout because a giant bug flew into his ear and had to be pulled out. A seemingly ordinary game between the New York Yankees and Chicago White Sox turned extraordinarily gross in the ninth inning at Guaranteed Rate Field in Chicago. Second base umpire Bruce Dreckman jogged off the field during the bottom of the ninth and had to be tended to by Yankees trainer Steve Donohue in the dugout. The reason? Dreckman got a bug stuck in his ear. Even crazier was that it wasn't your run-of-the-mill fly or gnat. It appeared to be a giant moth. And it seemed to still be alive when Donohue and Dreckman combined to get it out. You truly see something new every night in the MLB.